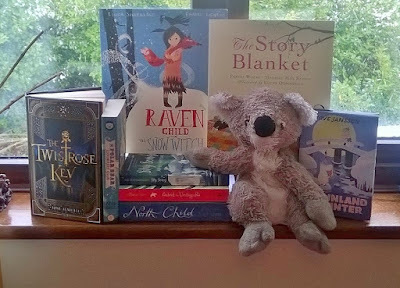 The Childrens Books Ireland Book of the Year Awards shortlist is out! And what an incredible shortlist it is! I am not going to go on and on about this, because the visual will always say it better. So here's the list! And my heartfelt congratulations to ALL the nominees. Fantastic news for all of you and I wish you all the best. 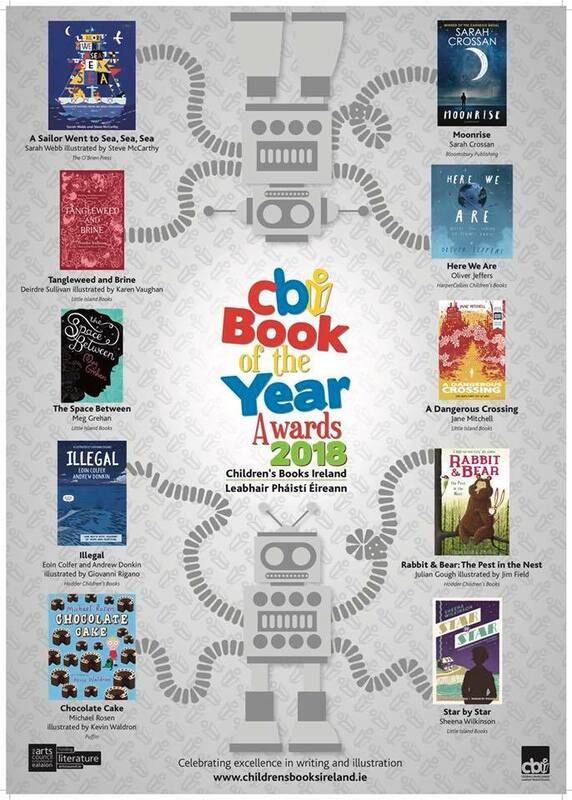 To readers, I can absolutely recommend all of the nominated titles. You can't go wrong with any of them. They are fantastic! The winners of the awards, which includes the landmark Childrens Choice Award chosen by a vote from young people across the country, will be announced in a ceremony at Dublins' Smock Alley Theatre on the 23rd of May, 2018. See you there! 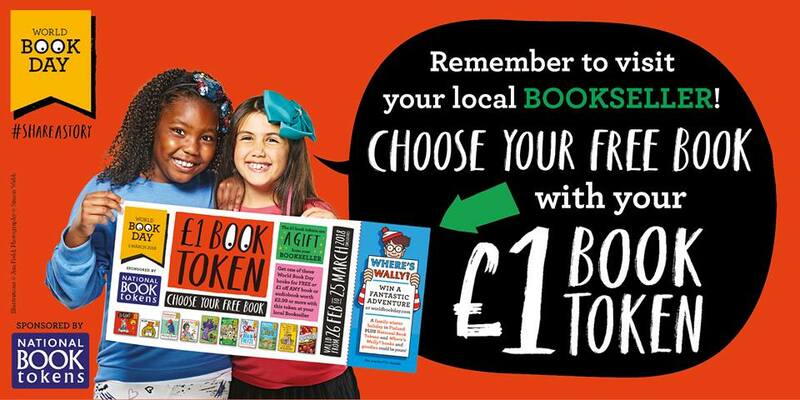 Or, your child can use them against any book of their choice to receive £1/€1.50 off the price. Now, here's the good news. Due to the freezing temperatures and the snow (! ), while many of you were not able to attend World Book Day events or get out to spend your vouchers, the good people at World Book Day have decided to extend the redemption period until the 31st of March! So, you have two full weeks to spend those vouchers. 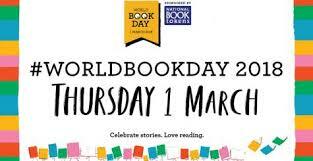 What a great addition to a family day out...pop into your local bookshop and chose your World Book Day voucher! 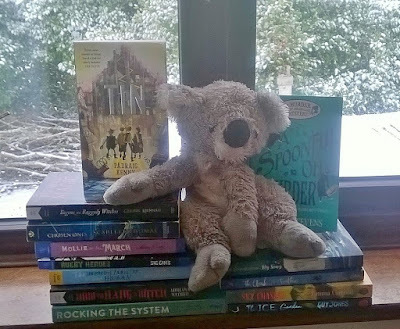 As I had mentioned before, this year, due to circumstances, I didn't go all out and throw my traditional World Book Day Extravaganza (for a week, as it usually turns out). But I did have some great events organised. And I managed to get them all in last week, to make up for the bad weather cancellations. On Tuesday, I spent a few hours at Dominican College talking to two large groups of 14-year-old girls about their reading habits and some of the fantastic reads out for them. This can be a bit of a challenge, as at that age, they have no problem telling you what they don't like about reading. So...we talked about it. And in the end, as I always say, if I can get one kid who "doesn't like to read" to start picking up books, I consider that a success. You see, if one of the non-readers finds a book they really love, they'll tell their friends. And the next thing you know, they are all readers. I was also delighted to hear they have instituted the "Drop Everything And Read" programme, where for 20 minutes three times a week, the entire school devotes itself to having the students reading. 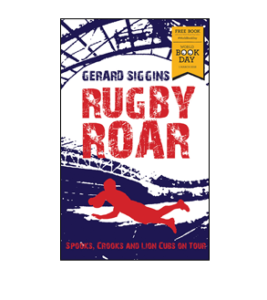 I believe every school should have this programme running as part of the curriculum. You'll be surprised at what a difference it makes in all aspects of education and life, in general. Wednesday and Thursday found me in front of school children from the local area in the shop. I invited St Nicholas Parochial School in (yes, the whole school, but by class groups...I'm not crazy) to talk about books and read to them. For the little ones, I had a selection of some of my favourite picture books, new and old, to share with them and get them to participate in. 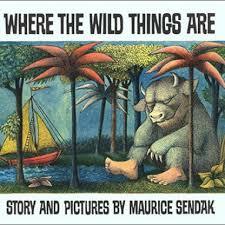 It wouldn't be World Book Day if I didn't read Where the Wild Things Are by Maurice Sendak while having the children act out the part of the Wild Things!With the older kids, we talked about how to be an author, what happens when you want to get published and some new and brilliant books by Irish authors and read from two of my favourites, Tin by Padraig Kenny and Begone the Raggedy Witches by Celine Kiernan. The trick is knowing where to stop so you leave them wanting more! And on Thursday, in came Galway Educate Together for more picture book readings and talking about what they love about books. Small children are very eloquent when they talk about their favourite books.I think we all need to listen to them more. Friday was another day out. I went up to Scoil Ide for several hours, read picture books to little ones and talked about reading to an older group. One young lady was brilliant. She really didn't like reading, or so she said...then she enquired about books about the Plague (I'm thinking The Crowfield Curse by Pat Walsh here...brilliant!) And then there was how she really liked murder and death. Well, that's Robin Stevens 'A Murder Most Unladylike' series, isn't it. All the other girls chimed in with suggestions for her, and yes, she did come into the bookshop over the weekend to check out what was on offer. 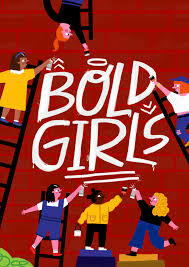 We also talked a good bit about the Bold Girls incentive and the wonderful reading guide by Childrens Book Ireland. (Get it now!) Another great read for these girls...Mollie on the March by Anna Carey. And there was great excitement! All and all, a success! So, that's my World Book Day visits done and dusted for another year. All in all, I spoke to about 400 local school children. Not bad for what I called 'low key'. Keep reading and sharing books! And don't forget to use those vouchers by the 31st of March! As I have been asked by a number of interested folks, this is just a quick post to share what I've been reading and what I'm reading now. 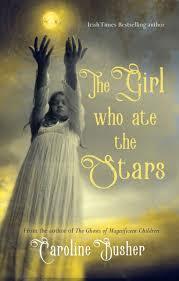 Just now, I'm reading the new offering by Caroline Busher, The Girl Who Ate the Stars. And it is marvelous! Caroline is the author of The Ghosts of Magnificent Children. Her writing and story-telling skills are simply delicious with a strong sense of suspense and a true eerie quality...And I will recommend both whole-heartedly. 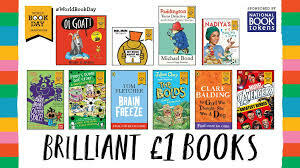 As I am sure you're aware, the 22nd World Book Day was yesterday, 1 March 2018. And I am also sure you are aware that throughout the UK and Ireland, many, many events were cancelled this week due to snow. Yes, snow. Very unusual. Some events still went forward, but there are a lot of disappointed children (and booksellers!) who look forward to this day; planning their costumes, meeting authors and illustrators and sharing a love of books and stories that will last a lifetime. But never fear...events are being rescheduled and our bookish spirits are not dampened! Those wonderful people at World Book Day have decided that,they want to make certain that as many children as possible have the opportunity to use the £1/€1.50 World Book Day tokens. 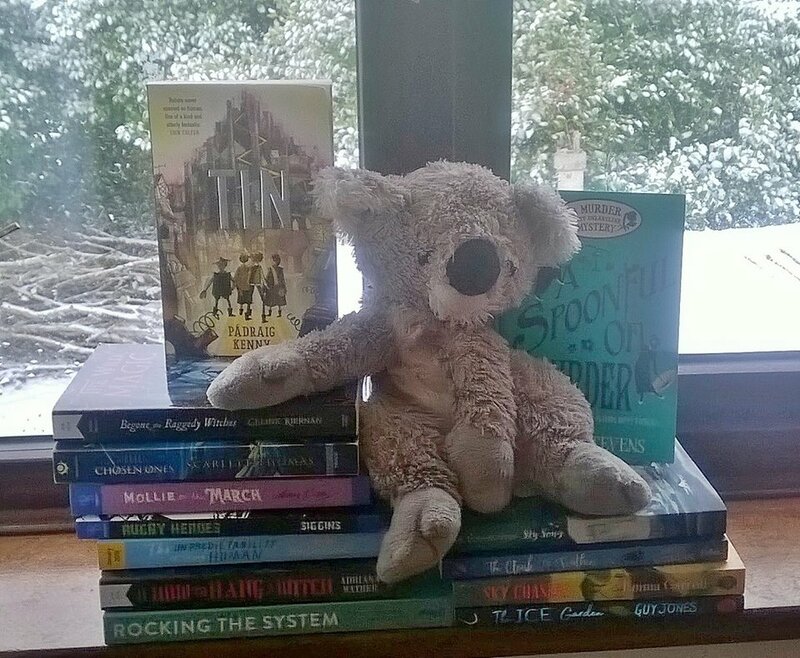 Since the weather has been so cold and snowy (and frankly, weird for this part of the world) and so much has been at a standstill, World Book Day is going to extend the redemption period of the vouchers. You will now be able to use the vouchers beyond Sunday 25 March. Just keep checking the website for confirmation of the extension date! Personally, I've used the last 2 snow days to catch up on some snowy reading. 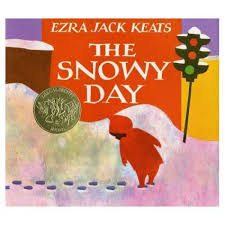 My favourite is the absolute classic (and completely joyous & ground-breaking) picture book, The Snowy Day by Ezra Jack Keats. You simply cannot beat this wonderful story about Jack, a small boy who sets off on a delightful adventure through his local neighbourhood, magically transformed by snow. I am also really loving SnowBoy and the Last Tree Standing by Hiawyn Oram; a sensitive, contemporary story with a strong environmental message and incredible illustrations by Birgitta Sif. Raven Child and the Snow Witch by Linda Sunderland/illustrated by Daniel Egneus reads like a classic fairy tale set in a wondrous arctic landscape abounding with magic and drama. And The Story Blanket by Ferida Wolff & Harriet May Savitz, illustrated by the amazing Elena Odriozola is the perfect warm, cosy, reassuring story about Babba Zarrah, who unravels her beautiful woolen story blanket in order to knit the clothes needed for the children who come to hear her stories. 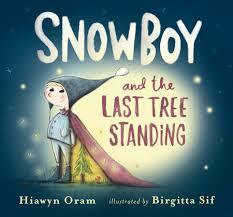 Of course, I have many suggestions for those who want more than a picture book on snowy days. A few of my cold weather recommendations to capture the enchantment and evoke the texture and adventure of those magical wintry days: Twistrose Key by Tone Amhjell has a real Narnia feel to it and is perfect for those who want a stirring adventure in the land beyond this life. If you have (or can find) a copy of North Child by Edith Pattou, hang on to it and read it again and again. This is an incredibly beautiful retelling of East of the Sun, West of the Moon. And you simply cannot have a snowy day without Moominland Midwinter by Tove Jansson. Seriously...you must read this. If we have a look at some newer books out, these have quickly become 'must-reads' as far as I'm concerned and they all have that winter/snow theme in common: The Polar Bear Explorers' Club by Alex Bell for a plucky, determined female hero and a real adventure of exploration and discovery; Astrid the Unstoppable by Maria Parr gives us discovery of a different kind and a character that will remind you of both Heidi and Pippi Longstocking; and Sky Song by Abi Elphinstone which takes us to Erkenwald, a glacial kingdom under the control of the (truly) evil Ice Queen and Eska and Flint, two children who may be able to change the fate of Erkenwald forever. So much to chose from! And being snowed-in is the perfect excuse to curl up in a cosy corner and read. And rest assured that, while we may be fighting off the cold now, spring is just around the corner as all of these books will confirm.